How do I configure a VoIP client on my mobile phone? 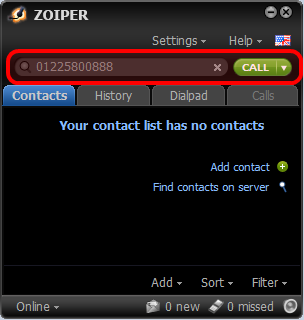 Zoiper is a free softphone available for Windows, OS X and Linux, and is very simple to configure and use. 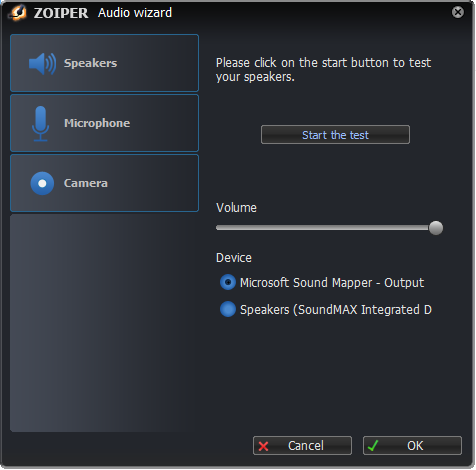 When you open Zoiper for the first time you will be asked to configure your speakers and microphone. The Start the test button will help you verify that your setup is working. Click OK to continue. n.b. 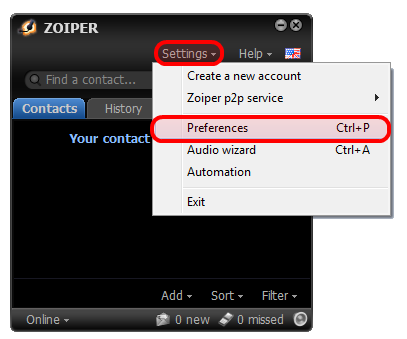 if you have used Zoiper before, then open the program and select Settings from the top right corner, then Preferences from the dropdown. From the preferences page select Create account. You will then be taken to the account wizard. 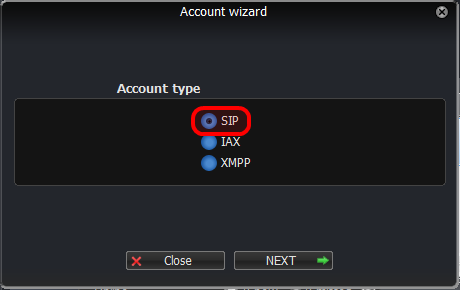 Ensure that SIP is selected and click NEXT. On the next page you enter your account details. The next page will pre-populate your account name. This doesn't need editing. 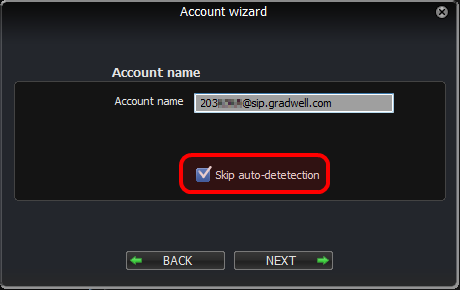 Just tick Skip auto-detection and click NEXT. 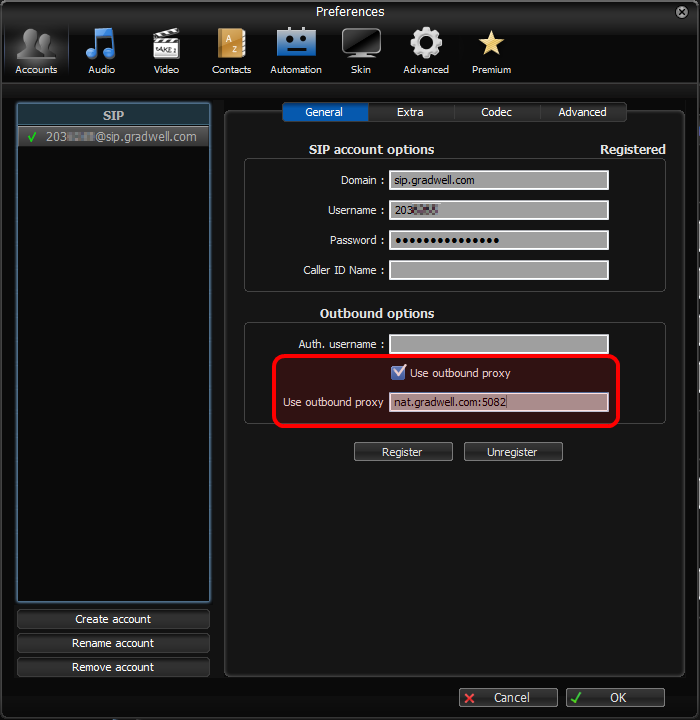 Your account will be setup and you will be taken to the preferences screen. 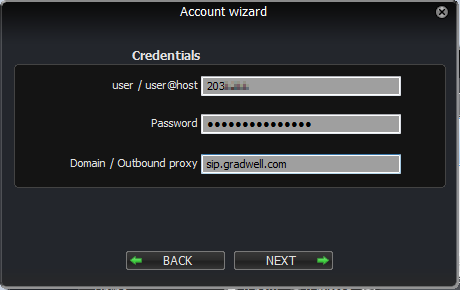 If your computer is using a private IP address (usually starting 10.x.x.x, 172.x.x.x.x or 192.x.x.x.x) then tick Use outbound proxy and enter nat.gradwell.com:5082. (If you are unsure if you are using a private IP address on your computer then please read this article, which will show you how you can check). You should see Registered in the right hand corner of SIP account options. If it doesn't say this then check the domain, username, password and outbound proxy (if using) are correct. Press OK to return to the main application. To call a number simply enter it in the search bar and then click CALL. If you need any help using the Zoiper softphone, there are help guides available here.